Large two story home at the end of a cul-de-sac. There is a downstairs bedroom and bathroom. This home has 5 bedrooms plus a large bonus room. The kitchen is beautiful and features an island and lots of cabinetry. The property is located near the Summit shopping center w/ Kohls and Target plus many other stores and dining facilities. 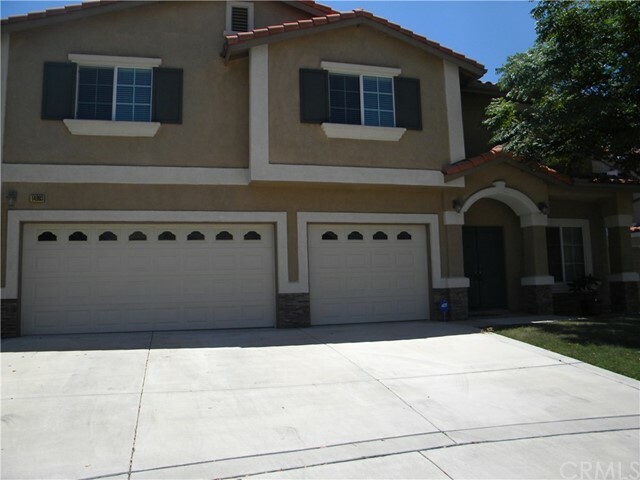 This home is in the Etiwanda School District. Based on information from California Regional Multiple Listing Service, Inc. as of August 27, 2018. This information is for your personal, non-commercial use and may not be used for any purpose other than to identify prospective properties you may be interested in purchasing. Display of MLS data is usually deemed reliable but is NOT guaranteed accurate by the MLS. Buyers are responsible for verifying the accuracy of all information and should investigate the data themselves or retain appropriate professionals. Information from sources other than the Listing Agent may have been included in the MLS data. Unless otherwise specified in writing, Broker/Agent has not and will not verify any information obtained from other sources. The Broker/Agent providing the information contained herein may or may not have been the Listing and/or Selling Agent.